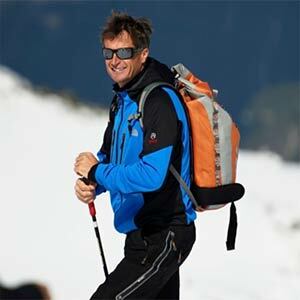 In 36 days on skis across the Alps. 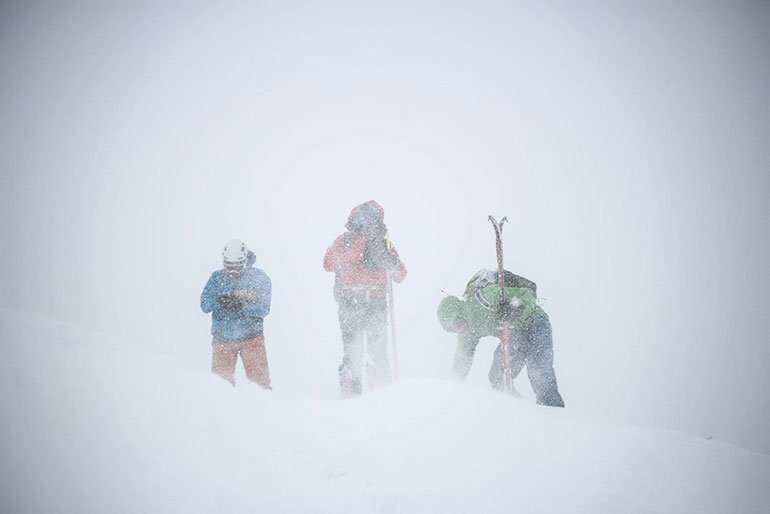 Safety was always key: for example, the athletes had to break off the ascent of the highest mountain in the Alps, the Mont Blanc (4,810 m), only 100 vertical metres below the summit due to high avalanche risk. The planned climb of the Dufourspitze (4,634 m) was also not possible. Among the alpine highlights was the successful summit ascent of the Grossglockner (3,798 m). Red Bull Der Lange Weg was inspired by four Austrian ski mountaineers. Robert Kittl, Klaus Hoi, Hansjörg Farbmacher and Hans Mariacher mastered the route in 1971 with only one support man in a VW bus, Alois Schett. The five athletes did not pass all peaks and valley locations of the 1971 team. Common decisions and experiences bonded the team, which had originally consisted of seven individual athletes, more closely together during the course of the tour. 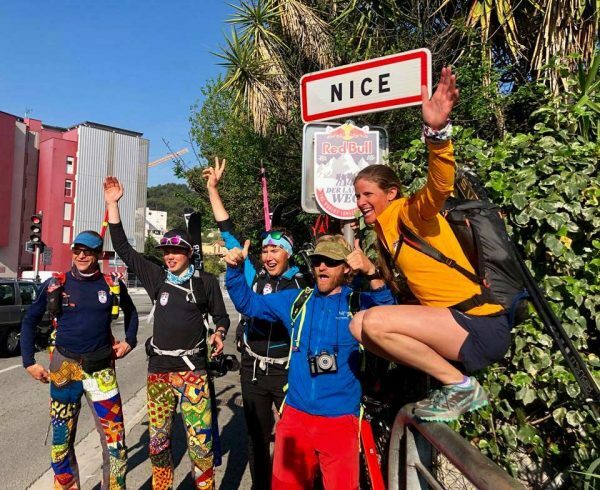 Two of the athletes who’d started in Reichenau an der Rax had to retire on their way to Nice for different reasons. Nuria Picas (ESP), one of the most successful ultra-trail runners in the world, and South Tyrolean alpinist Tamara Lunger (ITA). 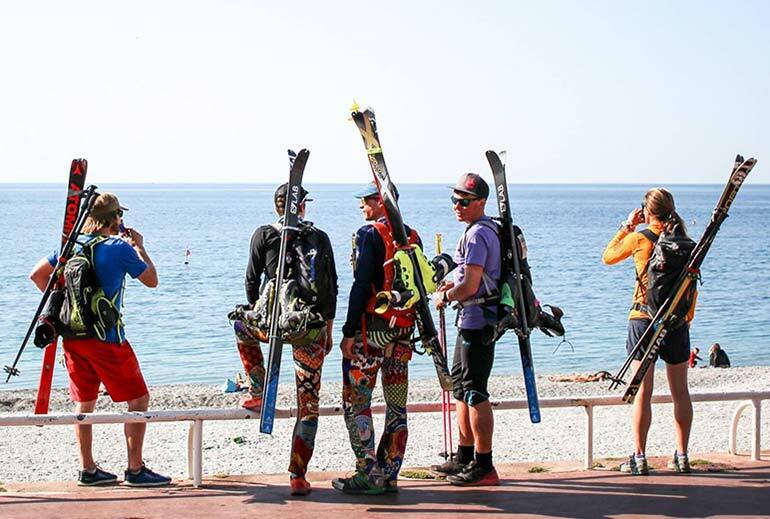 The five athletes the did complete were all the more proud when they arrived on the beach of Nice. With her impressive performance, Janelle Smiley showed that not only physical conditioning played a big part, but also tactics, mental strength and team spirit. Experience the expedition on Instagram. The daily stages on our news blog. 36 days. 1,721 km. 89.644 vertical meters and 375 hours of movement, movement, movement. Janelle Smiley, Mark Smiley Bernhard Hug, Philipp Reiter & amp; David Wallmann are super-humans and have written their own story on their journey through the Alps.